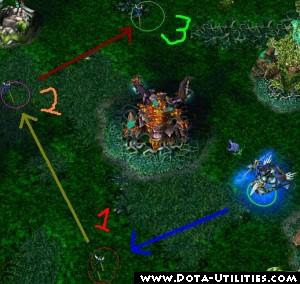 Way points are very important in DotA used to give commands in a queue to a unit. Now days most of the Dota Players don't know about usage of Way points. Here is a guide to Way points, which will help you to improve your gameplay. •What is Way Point ? •Way Point is like a combo commands to your hero. •What is the benefits using way point ? You can do combo spells or attacks. For example, Sand King using epicenter with dagger (First, cast epicenter then followed with dagger item hot key before epicenter came out and click to the spot you would like to blink) or Shadow Shaman using Shackle + Voodoo + Fork Linghting or you can do TP + spell or attacks. Buy time for your hand. 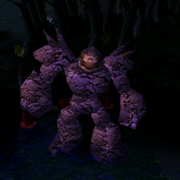 Let’s say you’re a Sentinel player, farming at the bottom lane, you’re about to encounter the first Scourge bottom tower, you would like to shop but the tower is in the way, of course you would be using the river route right? So if you just click at the shop, your hero would use the route with pass by the tower. You can way point this way, move to river + SHIFT + move to shop, that can at least buy your hands some time to type. try doing this with with dragon knight and get him manta in...u can have 3 in dragon form ..
question, how can i cancel shift command when i'm channeling something..e.g: I am ES , I tp to mid tower where many enemies are trying to destroy that tower, so I tp+shift ulti, but suddenly they back up, so I cancel it by "s" button but that would cancel my tp..so how?